What if there comes a time when water shortages are so severe that it becomes a privilege to pee? 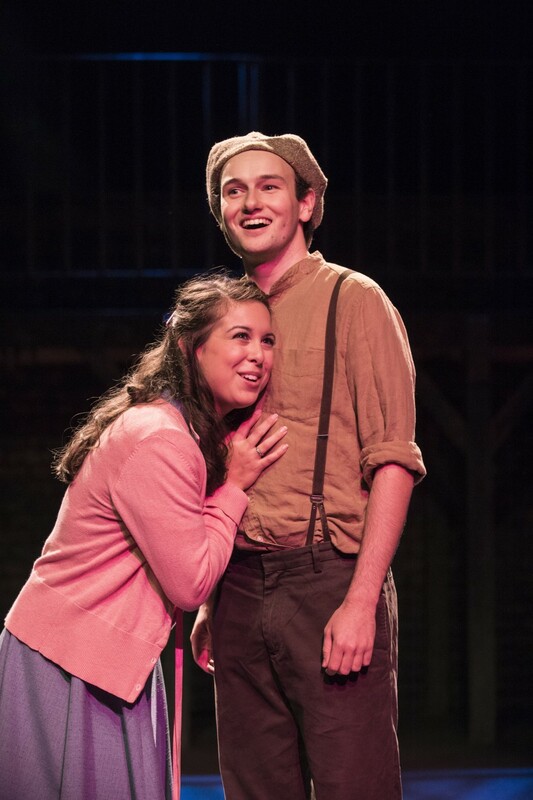 Urinetown is back at the Firehall to explore this possibility with hilarious characters and songs, while playing with established musical theatre tropes. As the citizens count their pennies and line up to pee at the public amenity, Caldwell Cladwell discusses his plan for higher fees and his trip to Rio de Janiero. Bobby Strong works at the public amenity and after meeting Cladwell’s daughter, Hope, finds the courage to let people pee for free and stand up to the corporation, Urine Good Company. Officers Lockstock and Barrel try to calm the crowds as Bobby leads the rebellion and Hope is torn between supporting her father or her newfound love, Bobby. While self-aware and verging on cliche in its mimicry of common musical theatre devices, this show manages to be fresh and inspiring. Anton Lipovetsky’s performance as Bobby was particularly impressive, along with Tracey Power as the precocious Little Sally who never broke her childish persona, and Andrew Wheeler as the headstrong Cladwell.